At Staunton Henderson we’re serious foodies, so what better way to celebrate our love of dining than to round up the best in the business when it comes to restaurant interiors! Below is our top five mouthwatering venues. Sushi Samba’s new Covent Garden spot makes a bold statement, cascading greenery and full size trees pop against the bright jewel tones of the bar and booths. It feels wild and energetic, allowing diners to sample beautifully crafted Japanese food in a space that seems a world away from the city. An elegant edition to the London restaurant scene, set smack bang in the middle of trendy Flat Iron Square, Bar Douro is a minimalist’s dream. 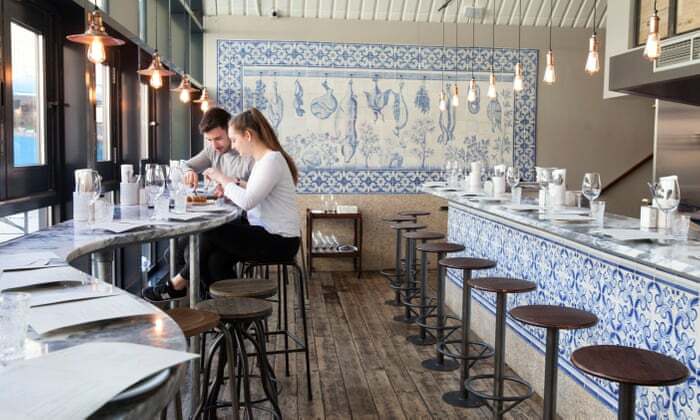 Cool blues, stripped woods and chic tiles are a breath of fresh air at this light filled venue, allowing the authentic Portuguese food to be the star of the show. 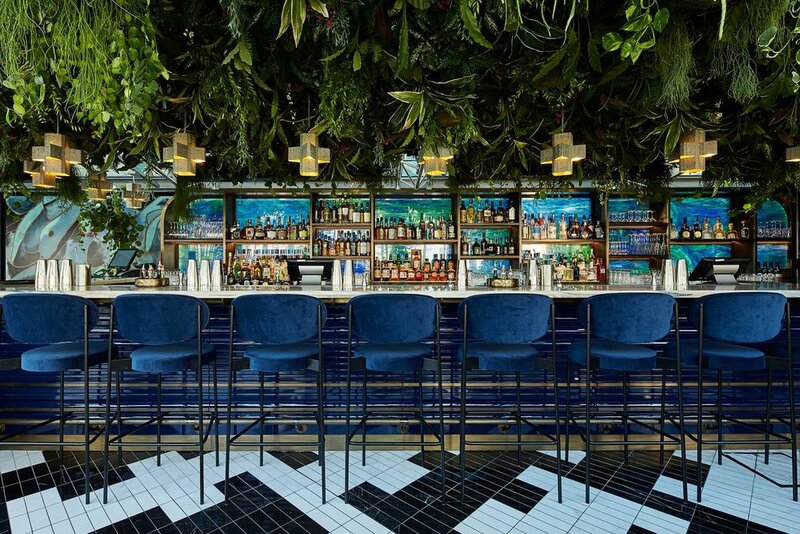 This renowned restaurant is as popular for its instagramable interiors as it is for its food, and no interior design list would be complete without it. There’s a range of dining spaces, each offering a unique decor, from the bubblegum pink gallery, lined with artworks to The Glade, a mythical forest themed room adorned with rich florals and sumptuous fabrics as far as the eye can see. 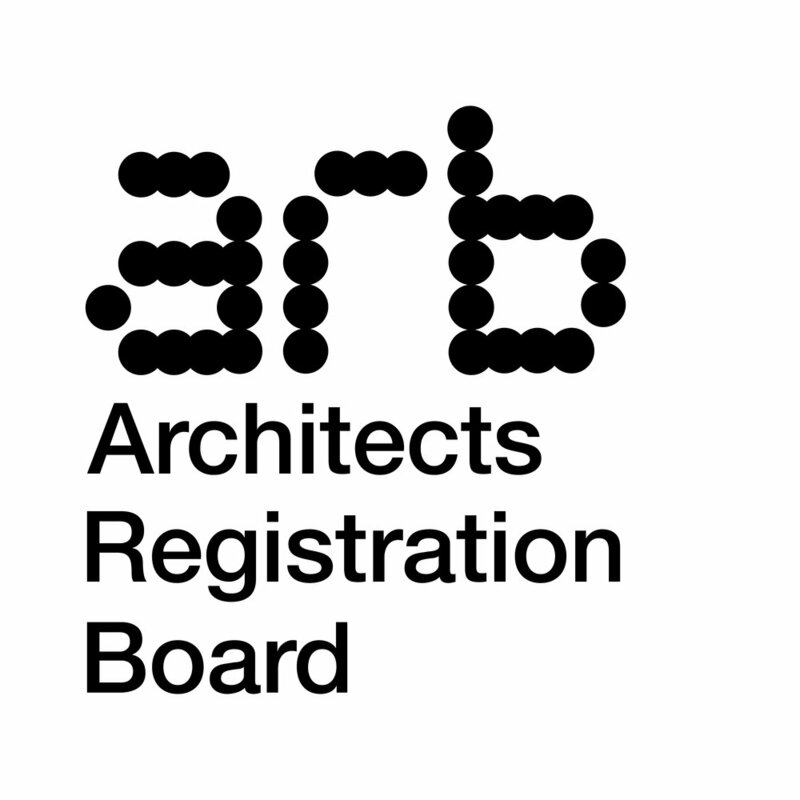 Designed by Iranian-born, Paris-based India Mahdavi. Described by The New Yorker as ‘ the virtuoso of colour’ and of course has more than Sketch London to her name. Most recently, she created the Sloane Apartment - a concept home-style setting for the new Tod’s store in London - and the award-winning Red Valentino store interior. This rustic restaurant transports you to a delightful Italian olive grove, with vines entwining overhead and a wholesome range of wood, wicker and traditional foodie fare down below. It’s a surprisingly soothing spot from one of TV’s angriest chefs, Gordon Ramsay. 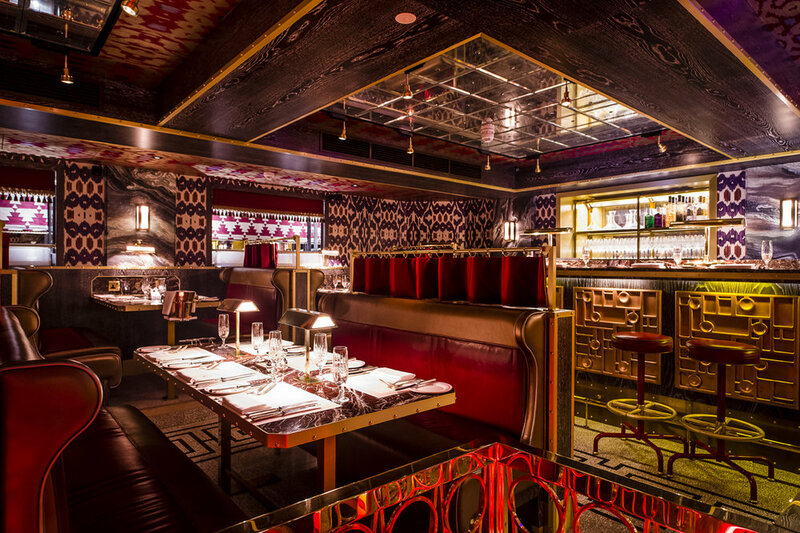 Bob Bob Ricard is a palace of pure decadence, gilt from every angle with art deco features to die for. 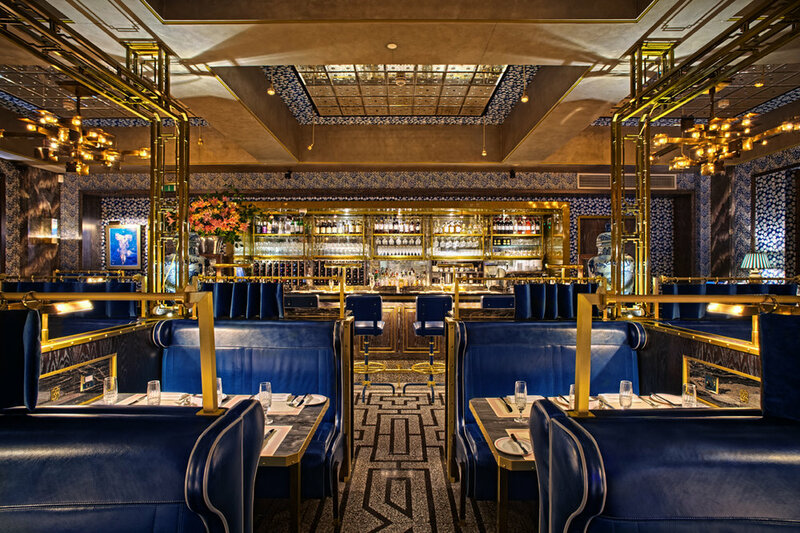 Its got a movie style feel from the rich blue booths to the glamorous red dining room and there is even a ‘press for champagne’ button at every table, need I say more?! Which restaurants would make your top six? Give us your recommendations in the comments below.